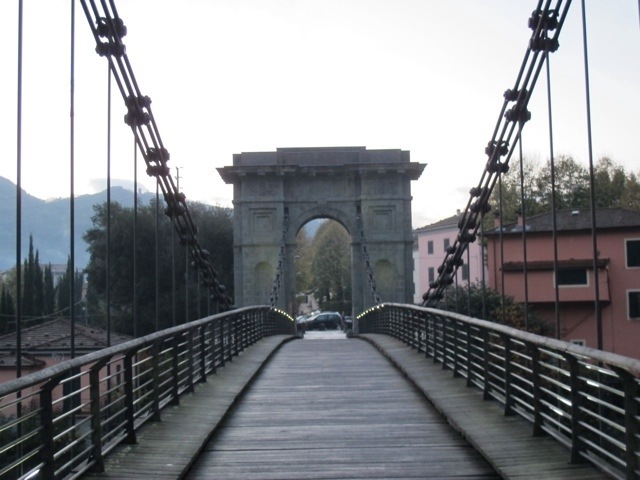 The beautiful Ponte delle Catene in Fornoli was commissioned by the Duke of Lucca, Charles Louis de Bourbon, to replace an earlier bridge (built in the 1300s) which was washed away in a flood in 1836. 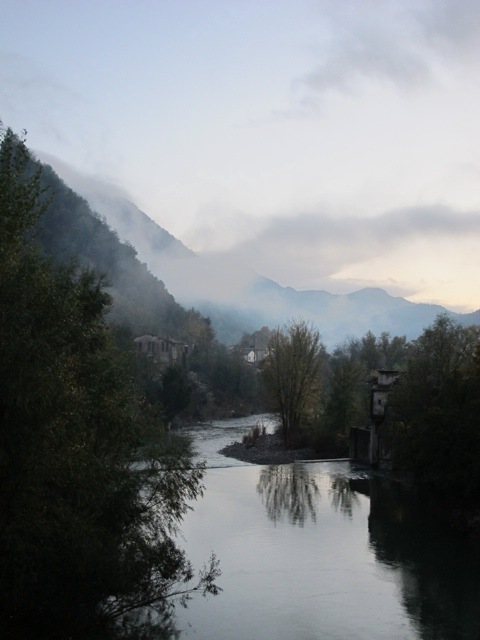 The chain suspension bridge crosses the Lima River from Fornoli to the little piazza in Chifenti. It is now a pedestrian bridge. 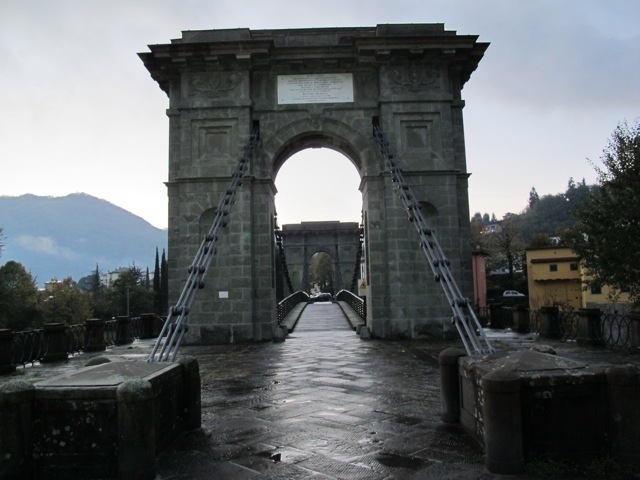 Architect Lorenzo Nottolini was sent to England to study suspension bridges there. 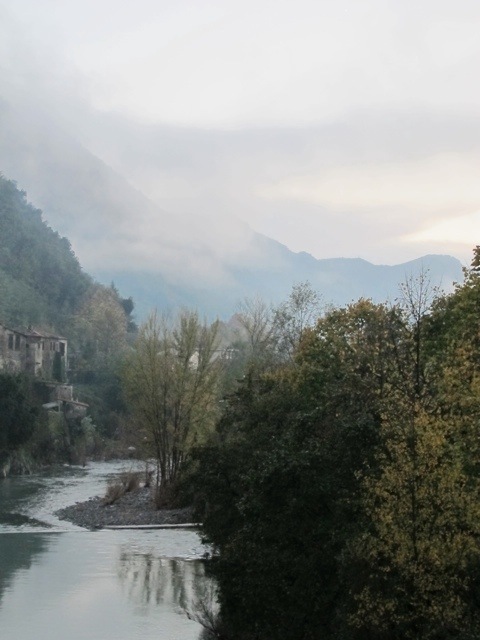 The bridge was begun in 1844 and completed in 1860, making it one of the first suspension bridges in Italy. The road section of the bridge was destroyed in WWII and was rebuilt in 1950. It looks very majestic, especially in the early evening light. The views from the bridge are spectacular. 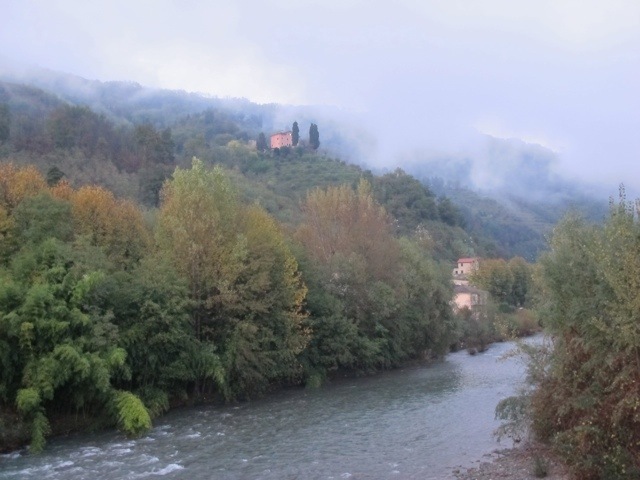 …looking up river towards Ponte a Serraglio. 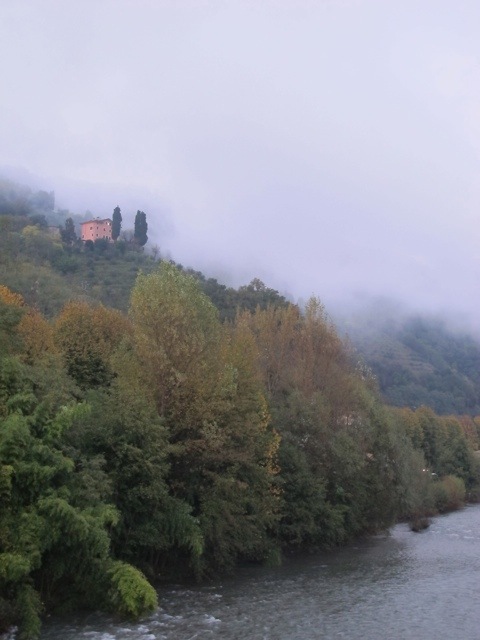 …looking down river towards Borgo a Mozzano. To see another wonderful Lorenzo Nottolini structure click here. While you are there admiring the bridge, call in for a coffee at Cafe Catene and say hello to Paolo. 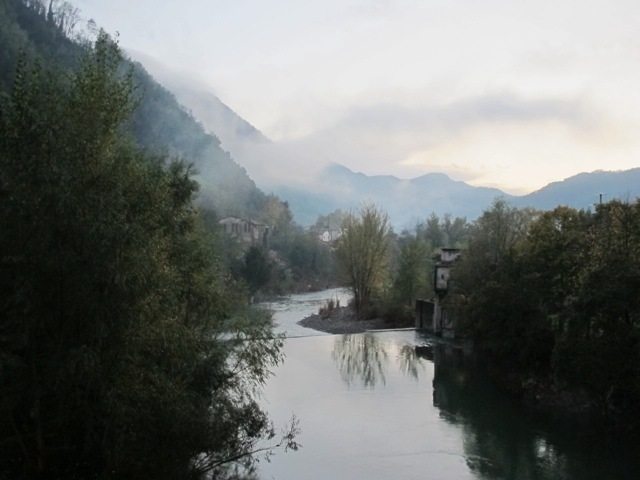 This entry was posted in Things to see and do and tagged Bagni di Lucca, Fornoli, Italy, Lorenzo Nottolini, photography, Ponte delle Catene, suspension bridges, travel by Debra Kolkka. Bookmark the permalink. Thank you for the information. Nottolini certainly was responsible for some wonderfull buildings in the area. Great photos, love the fog, so surreal. Beautiful pink house on the hill. Mulino, thank you for the web site, it was very interesting. I left Vico when I was only 7 years old, so I find sites like yours extremely interesting and informative. The view was spectacular in the late afternoon. The bridge was completed after a long delay simply because they couldn’t perfect the actual suspension structure. If one goes underneath the bridge (and finds the door open) one can see the massive anchors holding those chains. I have tried to get under the bridge, but the door has been closed every time I have been there…one day. It is a great looking bridge and the views form it are just as wonderful.